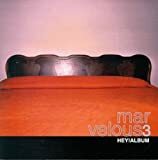 MARVELOUS 3 LOSING YOU LYRICS"
She said, "Say what's on your mind." So I said, "I'm kinda hungry and I hate my life." You said, "Don't you wanna be all that?" "Like a Calvin Klein model in a video?" All Marvelous 3 - Losing You lyrics are property and © copyright of their respective owners. All Losing You lyrics provided for educational purposes only.